It’s way ahead of summer time but I had to show you what is coming up. 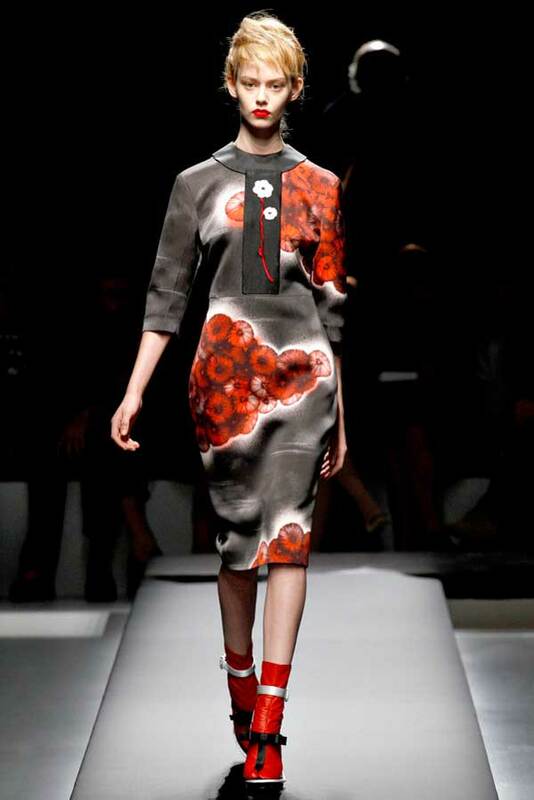 Prada has certainly been to Asia for their summer spring 2013 latest collection. 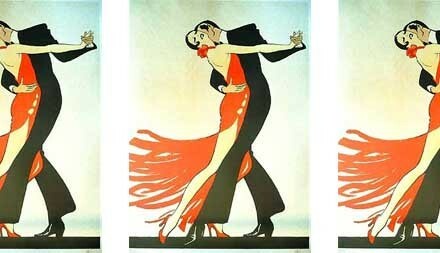 The designs mainly from Japan, well that’s what it reminds me of, is nothing short of spectacular. Asian prints, lime green Asian colours and sock thongs have never looked so appealing. 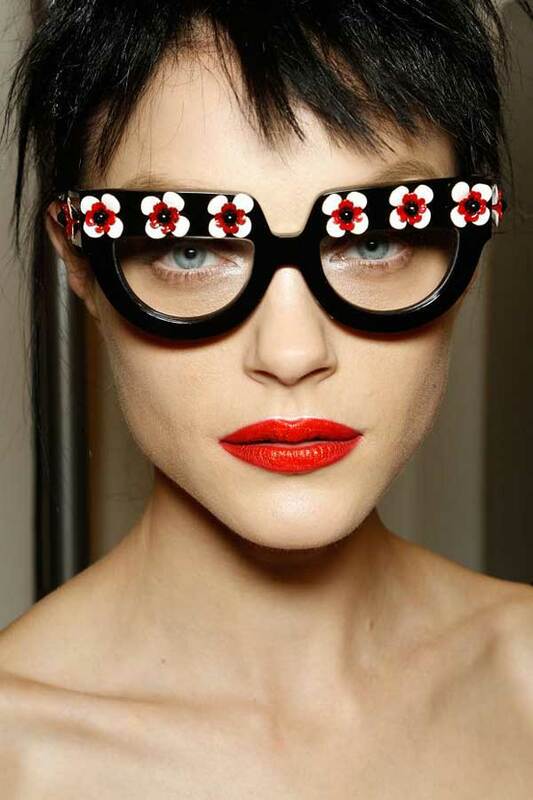 Prada sets the trend for summer 2013. They have re-vamped Asian designs onto European waters. The layering skirts with quirky pockets and flowers is very adorable. The dresses are modern, comfortable and the fabrics are to die for. 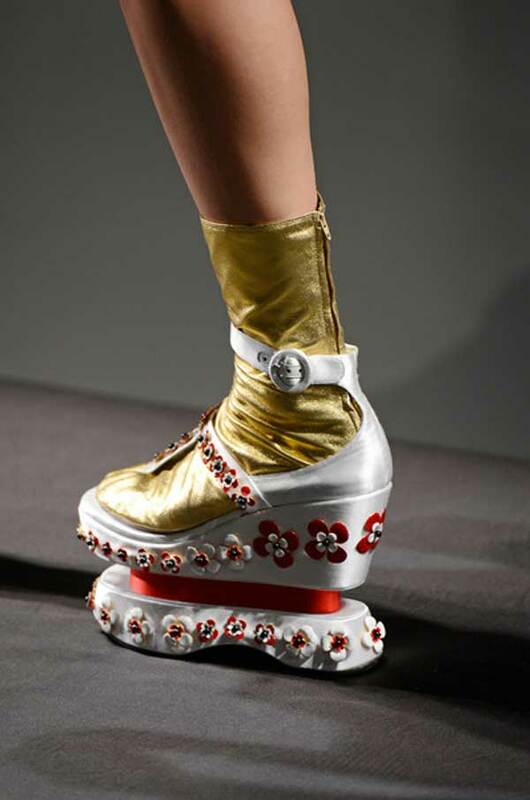 There is a real sixties style to it, which has now become one of Prada’s trade mark. Silk is a fabulous material for summer. It feels cool, looks great and perfect for making you feel expensive and chic. The detail in this collection coming, is brilliant. 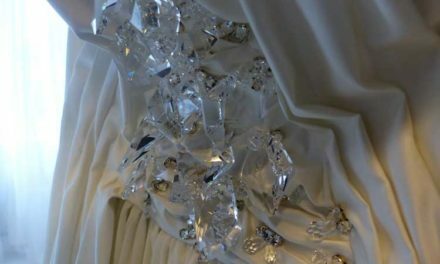 You will certainly start up any fashion conversation once you get your hands on any of it. The line up of accessories are so cute and girly. The glasses are pretty special and will be only worn by the courageous. As for the handbags, red, flowers, small handles is Asia through and through. 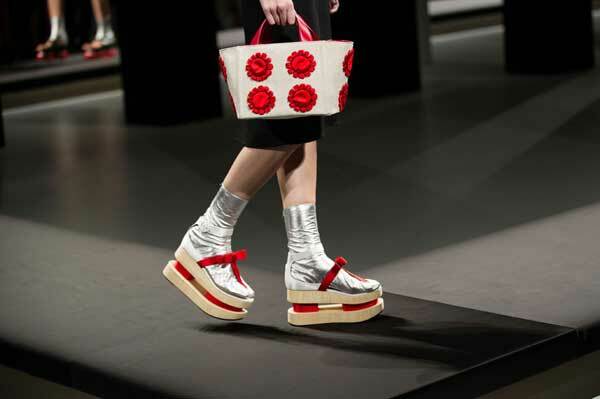 The mere difference here is Prada has given it their European twist and are we just hanging out to get our hands on it. Let alone strut our streets wearing Prada. Prada we love and adore you Brava Prada. 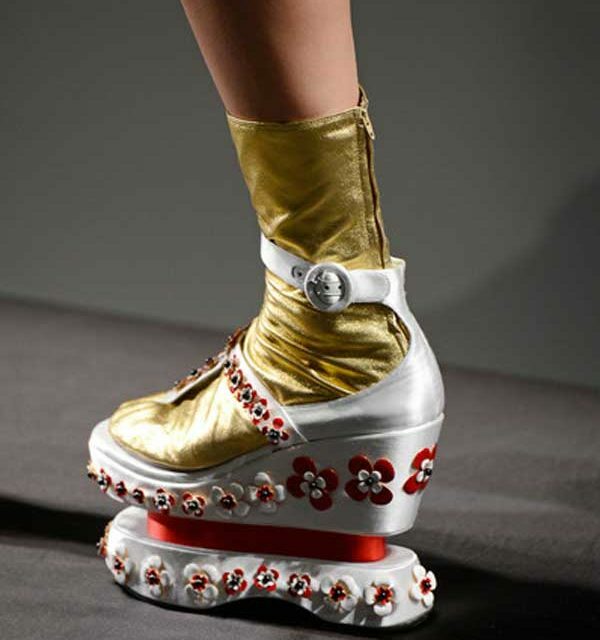 Prada has gone for sheer comfort with mere amazing style and cuts. 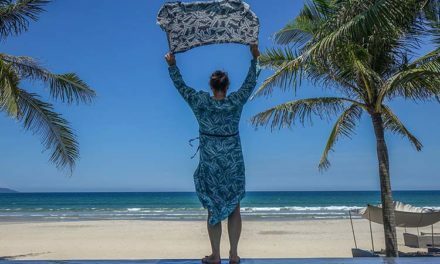 This skirt will start many hidden conversations just by it’s quirky designs. Look great, feels comfortable and will be a huge hit for next year in general. 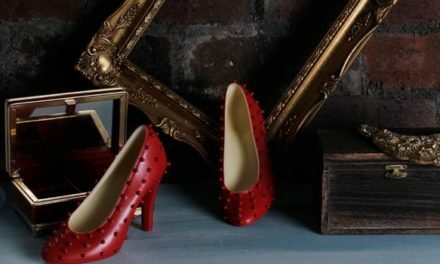 PreviousNicholas Kirkwood – Why Do Women Endure High Heels?